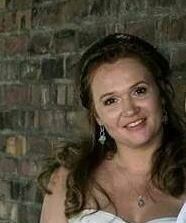 Karen Jennings was born in Cape Town in 1982. She holds Master’s degrees in both English Literature and Creative Writing from the University of Cape Town. Karen’s stories and poetry have been published in journals across the globe, in countries as diverse as Nigeria, Australia and Greece, and on several websites including BOTSOTSO, the Commonwealth Foundationand Itch. 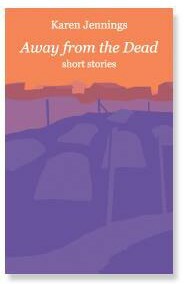 Her short story Andries Tatane received an hounorable mention in a competition organised by Eyelands in Greece. You can also read one of Karen’s latest stories Making Challah in the Kalahari Review. To get in the festive mood read Karen’s essay Christmas in Cape Town, which was published in the Kalahari Review. In 2010 her short story From Dark won the Africa Region prize in the Commonwealth Short Story Competition. Mia and the Shark won the English section of the Maskew Miller Longman short story competition in 2009 and is now studied in schools. Finding Soutbek is her first novel. Karen is currently researching her second novel as part of a PhD in Creative Writing at the University of KwaZulu-Natal under the supervision of Kobus Moolman. In general, the subject of Karen’s work is South Africa, and her fiction utilises, and attempts to renew, the tradition of social realism long established in South African literature as the form of protest writing. Since ‘liberation’, South African literature has tended to focus on questions of cultural and ethnic identity, often at the expense of addressing the political and economic conflicts and injustices that have persisted (and perhaps even intensified) despite the fall of apartheid. Although Karen’s work explores the complex cultural and interpersonal negotiations and shifting definitions of the self and the social in post-apartheid South Africa, it grounds such considerations in a consciously materialist and historicist understanding of the forces which shape our contemporary society, and emphasises the lot of those who have failed to partake in the freedoms of liberal democracy and the opportunities for enrichment provided by capitalism. Combining historical and personal interviews Karen’s work is committed to the idea that the lives of ordinary people, and the concrete conditions which shape these lives and are shaped by them, are worthy of thorough and compassionate investigation. 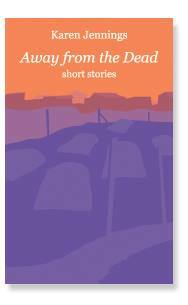 Her short story collection Away from the Dead was published by Holland Park Press in September 2014. To mark the 20th anniversary of South Africa’s democracy the Sunday Times Lifestyle magazine published The Future Fiction Edition, featuring short stories by 40 top local authors set in South Africa on 27 April 2034 – 20 years after the publication date. Karen’s Nababeep was one of the featured stories. 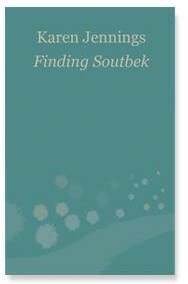 Finding Soutbek, Karen’s debut novel, has been shortlisted for the inaugural Etisalat Prize for Literature. Read the interview on Books Live. Karen has been selected to participate in the 5th Regional Residency for African Women Writers and will spend two weeks in Kampala Uganda in November 2013. The residency is organised byFemrite, the Uganda Women Writers Association. As a non-Indian alumni of Sangam House Karen has been awarded four-week residency in Chennai, India during February 2014.The residency is supported by the Chennai Mathematical Institute, as part of their Arts Initiative Program. Karen has won an AIR 2012 award and will be artist in residence with the Thamgidi Foundation in the Netherlands in 2013. She is spending September 2013 in Arnhem. You can meet her inRozet on Friday 20 September. During the last quarter of 2012, Karen was one of the writers in residence at Sangam House, Nrityagram near Bangalore in India, funded by M Writer’s Residencies 2012-13.